WE CAN ALSO SHIP VIA 2 DAY AND OVERNIGHT AS WELL. PLEASE CONTACT US FOR RATES. Are you looking for a mascot for your local sports team? Want a Halloween costume that goes above and beyond what you find in department stores? A Party Source has a wide variety of mascot costumes to fit a variety of occasions and needs. These outfits are not only great on Halloween, but can add extra fun and excitement to family parties and events. Don't settle for anything less than the best for your event or party. Children love mascots and they can be a major attraction. Whether you're looking for a Halloween costume or a party focus, mascots are always a good choice. 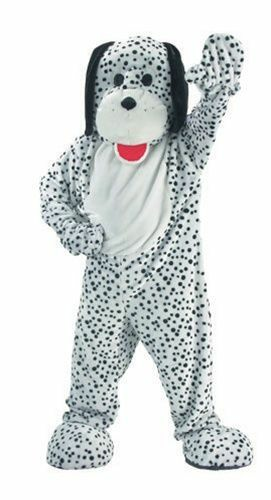 ALL MASCOT COSTUMES Includes: Jumpsuit with attached Mitts, Head and Feet. Material is Polyester and is flame retardant. Costume is machine washable. Everything in one re-usable easy to handle beautiful package.